A combination of cold, wind and altitude made walking today a challenge. But we warmed up and made our towards the sacred Obo site where sacrifices are made and prayers sent high up into the mountain deities. Obo - with prayer flags and other offerings. 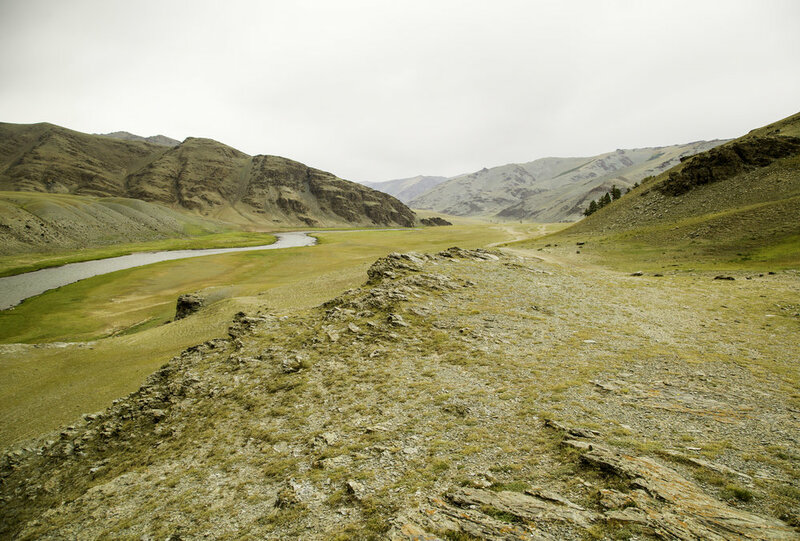 Mongolians make special trips to the mountains just to make offerings at this site. The wind was not kind but we kept a good, fast pace to stay warm. Even when the sun decided to come out mid-morning, the air was crisp and cool - but what views! We were about to take off our shoes and brave the cold water of the last, shallow stream we had to cross when a kind Tuvan shepherd offered us his horse and helped us across. It eventually warmed up back at 2,000 metres on our way back to Ulgii - here our friendly driver stopped for us to take pics.